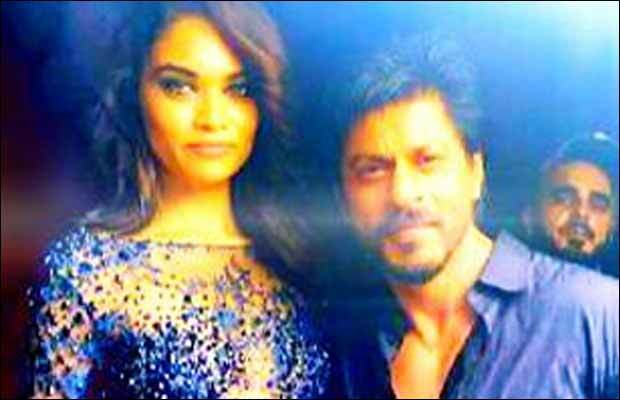 [tps_footer]Bollywood’s superstar Shah Rukh Khan is who is currently making headlines for his much talked film ‘Dilwale‘, will be seen with a top Victoria’s Secret Angel, Shanina Shaik. Well, before you brainstorm your mind, we let you all know that Shah Rukh Khan and Shanina Shaik are coming together to feature in the Vogue magazine. The superstar actor who had an awesome photo shoot with Shanina shared a picture of him with Shanina from the photo shoot. The two who are set to feature in the vogue magazine are seen in a very glossy poses. Fashion designer Anaita Shroff Adajania was at the helm for the hot photo shoot of them. Well, now we wait to catch what the the final output would be and that how SRK and Shanina will make the cover page look like! On the work front, SRK will soon be seen in his upcoming film ‘Dilwale’ opposite Kajol along with Varun Dhawan and Kriti Sanon; the movie is directed by Rohit Shetty and will hit the screens on December 18 this year. The actor will also woo his audience in his other two films, ‘Raees’ and ‘Fan’.